One of the world's great cities, Chicago is home to renowned cultural institutions such as the Chicago Symphony Orchestra and the Art Institute, legendary sports teams like the White Sox, Bears, and the Bulls, and a stunning lakefront with parks, beaches, trails, and harbors. Chicago has an innovative scene for blues, jazz, rock music, theater, and improv comedy. 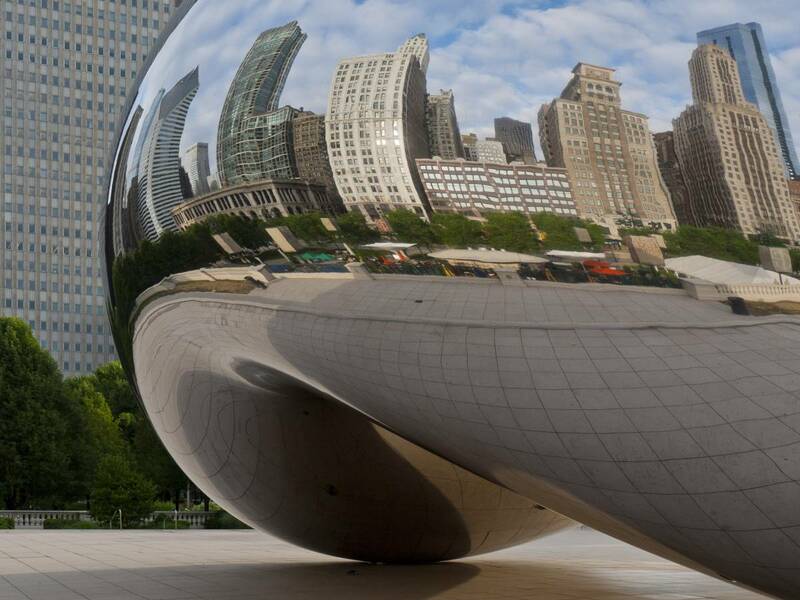 Chicago is a city of neighborhoods, each with its own personality—ready for you to explore. As beautiful and livable as the city is, it also wrestles with the social issues that continue to perplex all urban areas: substandard public housing and schooling, gang violence, and populations who struggle with access to care or homelessness. SSA is deeply committed to trying to solve these challenges through strong partnerships with communities. Using its expertise and intellectual capital, SSA has formed partnerships with organizations such as the Revere School and the Comer Science and Education Foundation, the Heartland Alliance, Chicago Public Schools, and the Illinois' Department of Children and Family Services. In addition to their field placments, SSA students tutor children at local elementary schools, volunteer to provide meals and services to people who are homeless, and participate in community outreach activities. A racially integrated residential neighborhood, Hyde Park shares the University's vigorous intellectual and cultural life. Along the lakefront, you'll be able to cycle and jog the trails; swim and sail the waves; and picnic with your friends and family in the parks. Known for its many new and used bookstores, Hyde Park boasts the city's oldest bookstore, as well as the Seminary Co-op, said to be the best academic bookstore west of Oxford, England. Hyde Park's local restaurants serve Cajun, Thai, French, Italian, Japanese, Greek, Middle Eastern, Mexican, and Korean cuisine, plus some of the best Southern cooking in the city. Other Hyde Park attractions include the Museum of Science and Industry, the DuSable Museum of African-American History, the annual Children's Book Fair, the 57th Street Art Fair, Silver Room Black Party, and Hyde Park Brew Fest. Ready access to expressways and public transportation makes it easy to run errands, go out on the town, or commute to field placements.